The Moroccan High Atlas and Jebel Sahro mountain ranges offer fantastic trekking - and they lie just a short (budget) airline flight away from the UK. 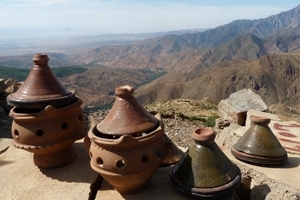 We've reduced the prices on our 2014 treks in Morocco, by up to £130. And if you'd prefer something more relaxing, consider our Taste of Morocco tour, reduced by £150. See our Special Offers page for further details.